I thought this ceiling was very interesting looking in a Tampa hotel - Nikon D300 Tamron 17-50mm @ f/8 ISO 200 5-exposure HDRThis image is from a wedding I photographed a few years ago in a hotel in Tampa. I was at the reception area early to shoot the table settings, wedding cake, etc. Upon entering the ballroom I was immediately taken with the ceiling. To me it looked like a UFO floating right on top of everything. 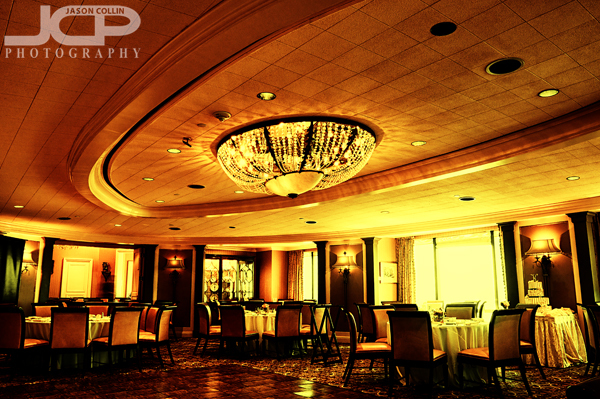 In editing I added some effects to heighten the alien look to the ceiling and room in general of this HDR image. What does it look like to you?